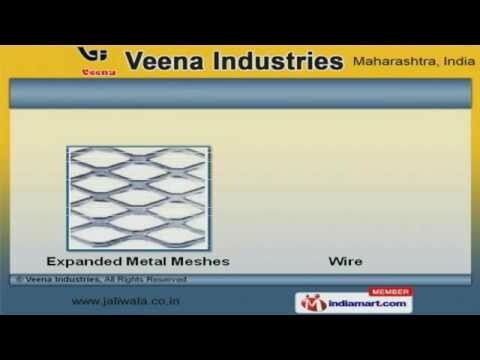 Welcome to Veena Industries, Manufacturer and Supplier of Wire Mesh and Allied Products. The company was established in 1984 at Nagpur. Our products are manufactured under brand name Kalash. MOIL & WCL are some of our Reputed clients and we are backed by Prompt & safe deliveries. We offer a wide assortment of Wire Meshes, Concertina Wires and Chain Link Fencing. Our Perforated Sheets and Shading Nets are in huge demand across the global markets. We offer Expanded Metal Meshes and Wire that are available at industry leading prices. Synthetic Cloths and Perforated Jali offered by us are nothing but the best solution for all your needs. Along with that we offer Synthetic Cloths for Paper Board Industry that are a class apart. We also provide Metal Wire Meshes for Construction Industry that are extremely reliable.